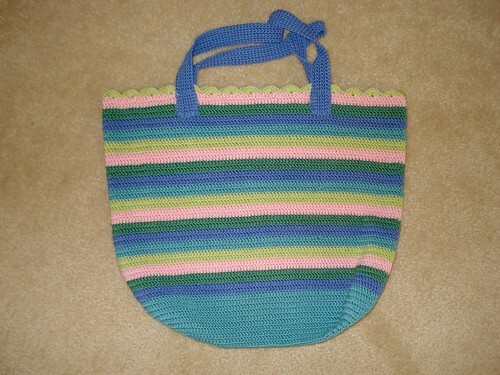 Pink Lemon Twist: A Finished Bag! I got the second strap finished and then I attached them to the bag! I still have some ends to trim and somewhere I've got a tracing of the bag base to use for the plastic canvas (yes, I had already planned on using that instead of cardboard - great minds think alike), but for all intents and purposes, I'm calling it done. What yarn did you use on this very cute bag?